Elea Beach, Livadi Nafsika and Louvre Hotel welcome you to the island of Corfu!! Situated in picturesque locations in the North part of the island, at the well known areas of Dassia and Gouvia, our hotels offer you great hospitality and memorable holidays!! A considerable number of guests trust us for many years. At Elea Beach & Livadi Nafsika Hotels you have the option of an All-Inclusive Vacation Package. Check our hotel list and discover what suits you best!! 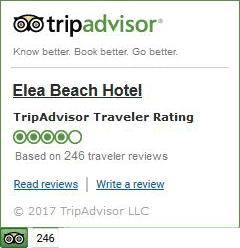 Elea Beach Hotel offers a total of 216 spacious rooms located in the main building. All of them are fully renovated with their own private furnished balconies. There is a wonderful choice for you to make between rooms with a magnificent panoramic sea view and rooms with outstanding green landscape. 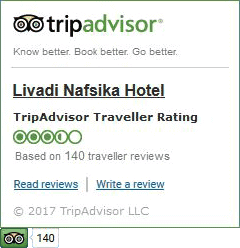 In the lovely tourist village of Dassia is located the 3-star Hotel Livadi Nafsika. It is a newly built hotel and recently renovated (2011). The center of Corfu is accessible by regular bus connection (every 20min) and the beach is within walking distance (300m). That makes our hotel very popular especially for young people and couples who wish to stay and discover the surroundings. 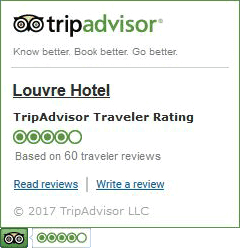 Louvre Hotel is a family-run hotel. It is a small **star hotel that consists of 25 rooms. Our aim is to offer our guests a relaxing stay & let them experience Greek hospitality at its finest. We believe you will be positively surprised by choosing us and we will try our best to make you feel comfortable. Our hotel is located in the resort of Gouvia, 7km North of Corfu Town, easily reached via a regular bus connection (every 20 minutes).